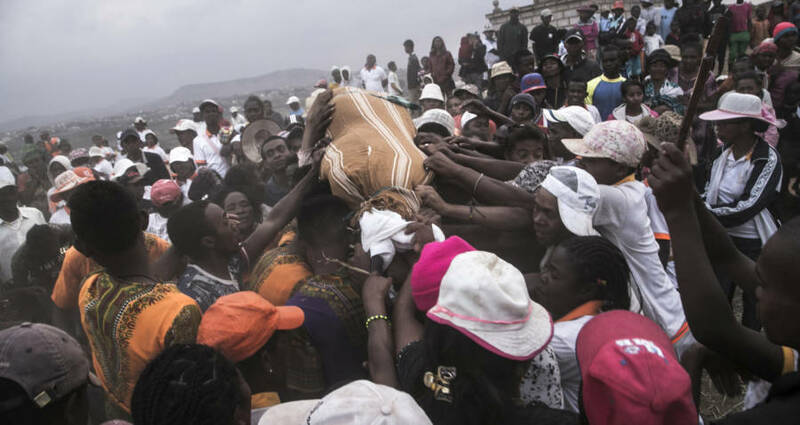 Famadihana is a ritual where families exhume the bones of their dead relatives, rewrap them with a fresh cloth, and dance with the wrapped corpses. RIJASOLO/AFP/Getty ImagesPeople carry a body wrapped in a sheet after taking it out from a crypt, as they take part in a funerary tradition called the Famadihana in the village of Ambohijafy, a few kilometres from Antananarivo, on September 23, 2017. After an epidemic of the Black Plague reemerged in Madagascar, officials warn that the practice of dancing with dead bodies may heighten the risk of spreading the disease. 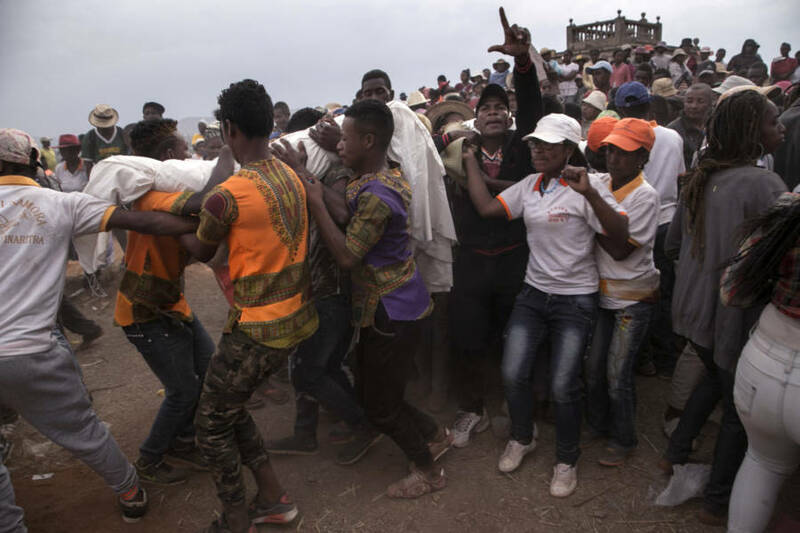 The ancient tradition of “Famadihana,” or dancing with the dead, may be helping to spread the Famadihana currently ravaging Madagascar, reports Newsweek. The Plague is not new to the island nation, and localized epidemics of the disease have been reported there for decades. Though most know the Black Plague from its devastating effect on Europe in the Middle Ages, in modern times the disease, spread by the bacterium Yersinia pestis, can usually be treated with simple antibiotics. It reemerges on Madagascar every year during the epidemic season, which typically runs from September to April. However, this newest outbreak is especially deadly with 124 people already killed by the disease since August. RIJASOLO/AFP/Getty ImagesPeople take part in the Famadihana in the village of Ambohijafy, a few kilometres from Antananarivo, on September 23, 2017. Officials believe this high death toll is due to the high rate of pneumonic transmissions. These transmissions can cause death much quicker, as well as the disease spreading to dense, urban areas of the country like Antananarivo and Toamasina, the two largest cities in Madagascar. They also worry that the practice of Famadihana, when practiced on the bodies of those who have died from the plague, may be helping to spread the disease. “If a person dies of pneumonic plague and is then interred in a tomb that is subsequently opened for a Famadihana, the bacteria can still be transmitted and contaminate whoever handles the body,” said Willy Randriamarotia, the chief of staff in Madagascar’s health ministry. Famadihana, which means “the turning of the bones” is a ritual where families exhume the bones of their dead relatives, rewrap them with a fresh cloth, and dance with the wrapped corpses before returning the remains to their graves. Bodies can be “turned” more than once, but not more than once every five years. This ritual is said to give good luck to its participants, and practicers use the opportunity of the ceremony to ask their ancestors to grant them wishes in the future. 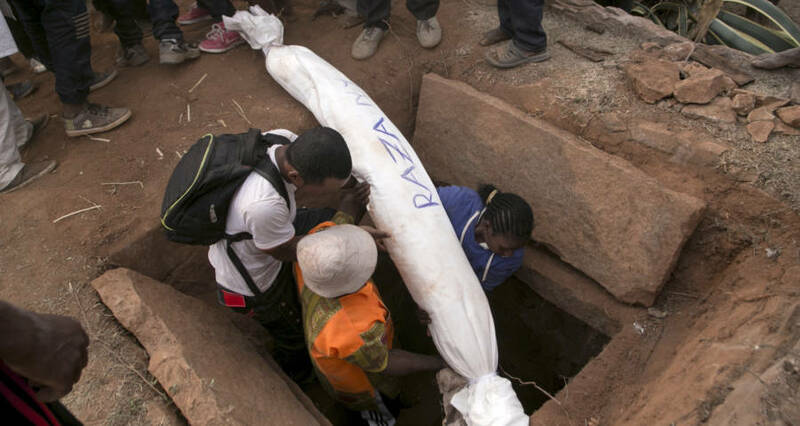 The Madagascar government has passed laws dictating that plague victims must be buried in anonymous mausoleums, not in tombs that can be reopened. Despite the law, local news reports have already reported that Madagascans have exhumed plague bodies covertly. Next, learn about the fifteen people infected with bubonic plague in the U.S. this year. Then, read about the weird history of the the Medieval dancing plague.